The 20th Bermuda International Film Festival [BIFF] will start on May 1st at the Earl Cameron Theatre at City Hall with ‘My Letter to the World‘, the premiere of a new documentary about the 19th-century American poet Emily Dickinson. 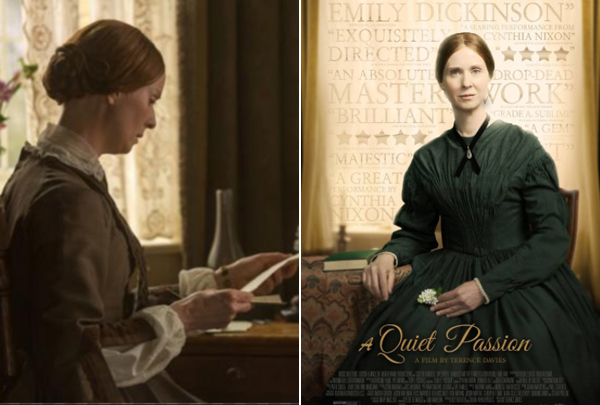 BIFF said, “The film, directed by Solon Papadopoulos, will share the opening night slot with Terence Davies, ‘A Quiet Passion‘, also about Dickinson, which Papadopoulos produced with Roy Boulter or Liverpool-based Hurricane Films. “The film takes place in 19th century Massachusetts opening with a young Emily Dickinson [Emma Bell] who struggles to be taken seriously as a poet. Later in life, Dickinson [Cynthia Nixon] enjoys the company of her family and confidantes – but lives a reclusive life as her health declines. Later this week BIFF will announce the list of Short Films that have been selected to be juried as part the Short Film Oscar® – Live Action Category by the Academy of Motion Picture Arts and Sciences.